Affordable yet full of features, the HK1400 is highly accurate, robust, flexible and user friendly. The essential choice for any diesel workshop wanting to increase their EUI and EUP capability. The HK1400 is designed to bridge the gap between OEM approved EUI/EUP repair workshops and the general diesel EUI/EUP repair market. It is a solution for All Makes of EUI and EUP, yet its functionality, accuracy and robustness remains distinctly Hartridge. The HK1400 has been engineered so that there is no compromise on accuracy and repeatability of test results, yet the solution has to be affordable for all progressive diesel workshops worldwide. By utilising and adapting our existing magmah software, keeping development costs to a minimum, it has enabled us to focus on the engineering of the hardware to ensure you get the best there is. Comprehensive EUI / EUP applications on the market including Bosch, VDO, Delphi E3, Cummins Celect, Caterpillar. FREE! Comprehensive All Makes test plans with ongoing development. 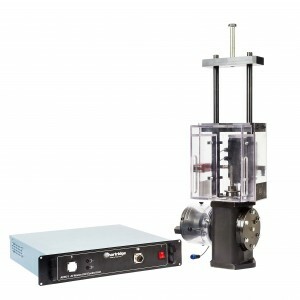 Use your existing rotary test bench (minimum specification required). Intuitive magmahsharp software is feature rich, proving a high level of user functionality. Customise, edit & create test plans. Calibrate your own reference EUI / EUP parameters and test limits. Unique and patented adjustable 11 positions cam design to set minimum/maximum lift. You can view the HK1400 fully running on a Hartridge AVM1 test bench.